Philippines | Ican Company Ltd. In the Philippines we have been providing cargo handling service for feeder container ships with our partners by utilizing 2 container cranes supplied to Cebu port in 2009. The modernization of the Cebu port was delayed in the past as cargo handling was made with out of date ineffcient cargo gear . 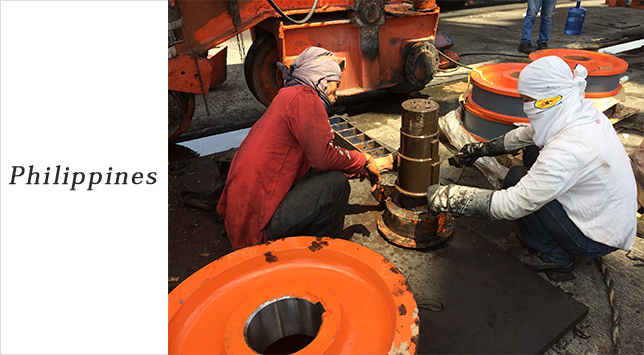 Our service contributes to the improvement of efficiency of the port. In addition we are cooperating the the improvement of port logistics though out the Philippines as a whole.